​Foods and Supplements That Can Help Improve Your Eyesight. Dr. Andrea Thau, President of the American Optometric Association, provides tips on the best foods to eat for optimum eye health. ​Tips for Getting Your Task Lighting Right. Dr. Andrea Thau, President of the American Optometric Association discusses the best ways to design your task lighting for peak visual efficiency. ​Sirius XM. March 10, 2017. Live on air radio interview with Dr. Todd Berland and Dr. Andrea Thau, President of the American Optometric Association about the effects of diabetes on the eye and the importance of annual in person comprehensive eye examinations by a doctor of optometry. Woman’s World. December 12, 2016. ​Rejuvenating Your Eyesight. Dr. Andrea Thau, President of the AOA offers advice on how to protect and preserve your eyesight. ​Protecting your Health: Survey shows Diabetic Patients Often Skip Important Eye Examinations. Dr. Andrea Thau, President of the AOA discusses the AOA’s American Eye-Q Survey and the important role that optometrists play in detecting diabetes and preventing diabetic eye disease, the leading cause of blindness in adults under 75. ​Six Nutrients Your Eyes Want You To Get More Of. Dr. Andrea Thau, President of the AOA is quoted. Daily Vitamina, October 25, 2016. ​Routine Eye Exam Detects Brain Tumor in 8 Year Old. Dr. Andrea Thau, President of the American Optometric Association discusses the importance of comprehensive eye examinations and the systemic and neurological problems that can be diagnosed by an optometrist. ​Pink Eye Symptoms to Watch Out For. Dr. Andrea Tbau President of the American Optometric Association and spokesperson for the Think About Your Eye Campaign discusses the causes of conjunctivitis. ​Eye Exam Detects Golf-Ball-Size Brain Tumor and Saves 8-Year-Old’s Life. Dr. Andrea Thau, President of the American Optometric Association discussed the importance of comprehensive eye examinations and the numerous systemic diseases that can be detected during an eye examination. ​Refinery29, August 22, 2016, Jessica Chou. ​Everything You Need to Know About Eyelash Extensions. New York Magazine Online: Science of Us: Think You’re Color-Blind? Take This Quiz. July 27, 2016. ​Dr. Andrea Thau, president of the American Optometric Association is interviewed regarding inherited color vision deficiency. DOCTOR RADIO. Sirius XM. July 25, 2016. ​Live on air radio interview with Dr. Jonathan Whiteson and Dr. Andrea Thau, President of the American Optometric Association about the importance of annual in person comprehensive eye examinations by a doctor of optometry. The World, September 24, 2015. HUFFPOST Healthy Living July 7, 2015 by Kim Dramer. ​Your Summer Sun Eye-Q. Dr. Andrea Thau. President-Elect of the American Optometric Association and Associate Clinical Professor at the State University of New York College of Optometry provides an eye health primer for understanding the dangers posed by summer sun and protecting your eye health and vision as well as that of your child during summer vacation. DR. OZ: THE GOOD LIFE, March-April, 2014 (Inaugural Issue). ​Yellow Gives You a Lift. Andrea Thau OD, an associate clinical professor at SUNY State College of Optometry is quoted regarding our ability to see the color yellow. ​Your Eyes Have It: How to Care for Your Precious Peepers. Dr. Andrea P. Thau, spokesperson for the American Optometric Association and Associate Clinical Professor, SUNY College of Optometry, is interviewed regarding the importance of annual eye examinations. ​10 Ways To Keep Your Eyes Sharp. Optometrist Dr. Andrea P. Thau, Associate Clinical Professor SUNY Optometry and spokesperson for the American Optometric Association, is quoted on the importance of seeing an eye doctor. Sight For Life, Fall, 2012. ​Dry Eye Solutions. Cool Inflammation and Boost Tear Film For Blissfully Soothing Relief. Dr. Andrea P. Thau, spokesperson for the American Optometric Association and Associate Clinical Professor at SUNY College of Optometry, is quoted extensively in this two-page article about the causes and treatments for dry eyes. Review of Optometry, June 15, 2008. ​Women at the Forefront. By Jane Cole, Special Projects Editor. Dr. Andrea Thau is profiled as one of the 10 female optometrists making an incredible impact on the profession. Read about how Dr. Thau is helping shape the field of pediatric optometry. ​Eye Changes While Expecting Don't Neglect Eyesight During Pregnancy.Dr. Andrea Thau discusses how eyesight can change during pregnancy. Reader's Digest Magazine, June/July, 2011. ​13 Secrets Your Eye Doctor Won't Tell You. Dr. Andrea Thau, Associated Clinical Professor, SUNY College of Optometry is quoted regarding the best food for your eyes. ​Germs Lurking in Old Makeup: It Isn't Pretty. 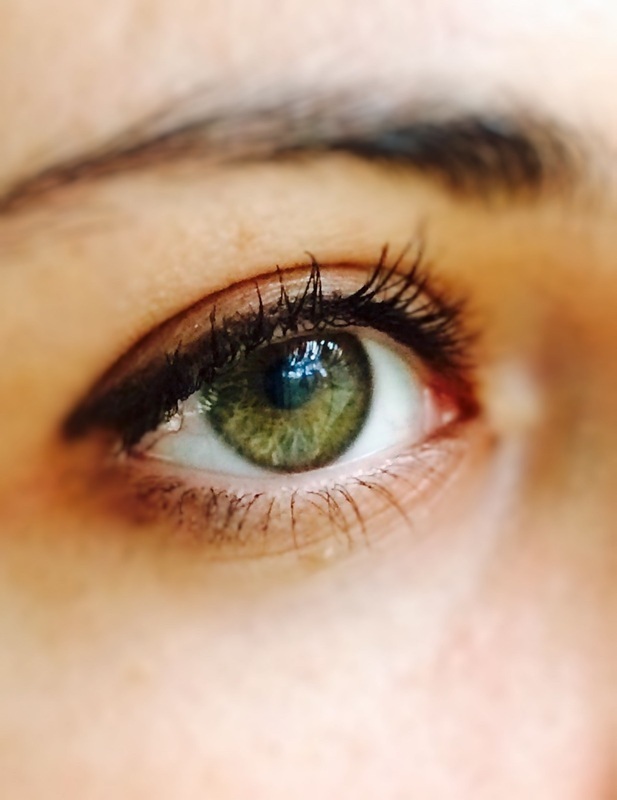 Dr. Andrea Thau is quoted discussing the dangers of cosmetic-related infections of the eyes and how they can be prevented by replacing your make-up regularly. ​ Sunglasses Guide. Dr. Andrea Thau offers tips on proper sun protection for your eyes. Life Time TV, April, 2008. ​THE BALANCING ACT, TV interview featuring Dr. Andrea Thau, spokesperson for the American Optometric Association, regarding the importance of proper visual hygiene for women over 40. The AOA and the American Eye Q TM Survey are referenced. This piece was also featured on iTunes, Yahoo! Video, AOL Video, and YouTube.com. ​Are Your Sunglasses Protecting You? Dr. Andrea Thau is quoted extensively regarding how to avoid the negative effects of ultraviolet radiation on the eye, year-round. American Pre-Optometric Association Newsletter, Issue 1, Volume 2, Fall 2012. ​Spotlight on an Optometrist: Dr. Andrea P. Thau was interviewed in this newsletter directed towards pre-optometry students regarding her choice of optometry as her profession, her choice of attending SUNY Optometry, and her career and involvement in the profession.